I love seeing people excited about food. Especially fruit and especially grapes from Grapery. What they been doing thee past couple years has really turned the produce world on it’s ear. The shapes and flavors of grapes that have come out with has changed the way people are looking at table grapes. Different wine grape varieties have gotten attention for years and now it is finally time for the seedless table grapes to get a much needed makeover. Earlier this month I shared with everyone about what Tear Drop grapes are. Formerly known as Witch Fingers, these grapes have a shape like no other. As a love seeing people talk about fruit they love, I also am passionate about helping people find fruit. 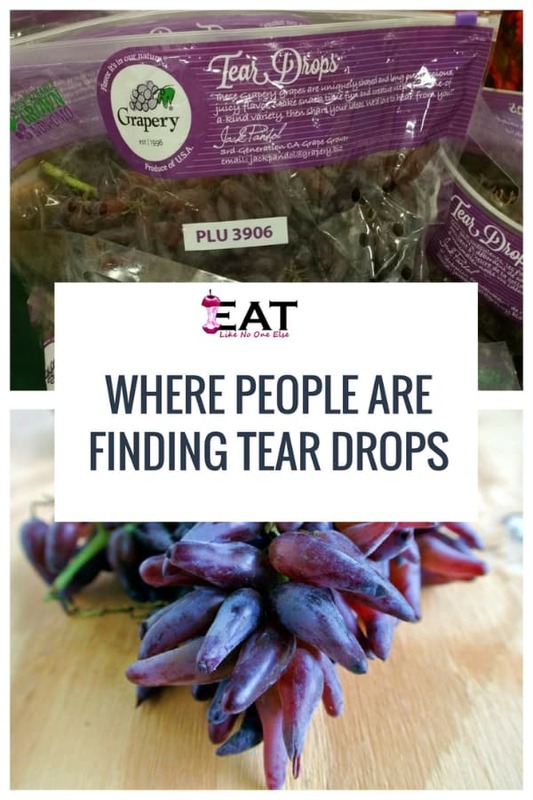 So I looked all across Instagram to showcase to you people’s excitement about Tear Drop grapes as well as to give you some clues on where you might track them down yourself. Enjoy these posts below. A little hint to where people are getting them I have heard: Plum Market in Michigan, the Fresh Market stores in the midwest, Sprouts stores on the west coast, and various Whole Food Market stores. Don’t forget to follow me on Instagram to see where I am finding these grapes as well as the other Grapery varieties. Want to be in the know about all things grapes? Grapery, Tear Drops, Cotton Candy grapes and more! Make sure to sign up for my email list. Just enter your addy below.